Hey, it’s Sam. And yes, title says all, it’s finally here. You’ve waited through snow, rain, and sunshine to get it. You’ve literally been on the streets crying for this book. And here it is. Ladies and gentlemen and wimpy kids everywhere…I give you, Cabin Fever. The sixth and upcoming novel in Kinney’s phenomenal series, the spirits in the sky have brought not a pillow, or a sheet, but a blanket…a blanket of snow! In our next look at the house on Surrey Street, this Thanksgiving the subsidiary of Abrams is back to present the next wimpy adventure. The sky spirits may have brought a blanket too big of snow, because the Heffleys are snowed in via a blizzard! So Greg gets claustrophobic having to deal with family. And here is the big achievement Cabin Fever received–the next book to get a 6-million copy first-printing, the biggest printing to date! (According to Publishers Weekly) And Abrams, as part of its marketing push for the novel, plans to do six summer events (each of them a “snowball”), and it will continue to be promoted throughout this month by mailing promo materials to book retailers and librarians! 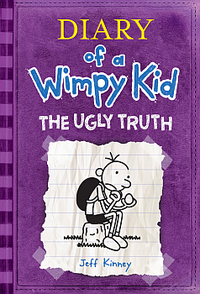 Did you read the Wimpy Kid Movie Diary as a tie-in to the first movie? Well, they’re making an updated second one, with the feats from the first movie, but the info on how the second one unfolded, such as with new illustrations, and more Rodrick Rules stills. And do you know that the DIY (do-it-yourself) book is getting an extended edition? With sixty more pages and sixteen new colored comics! RAD! Or, should I say, WIMPY! And you know the surprise hits of the first two movies of the DOAWK series, right? Well, it’s been certified that a third one (The Last Straw) has begun filming this month! The destination is unknown (the highest guess is Vancouver), but the director (David Bowers, from movie two. Bowers, not Bowie or Bowser.) has been announced, and the first notification came from Rodrick (Devon Bostick) and his quote that it was “90% sure it [would] happen.” The announcement became certified by Greg (Zach Gordon) on his Facebook. Rumor has it that the movie will have a formula of scenes from book three, and a pinch from book four. Script writers and producers and planning on scripting, and they said that they need an Alex Aruda, who is rumored to be in movie three. …This should be good. So, tell me: if the series got a game, what company would you play it from, what console would you play it on, and what ESRB rating would you give it? MS Paint really comes in handy, doesn't it? Leave your responses in the comment section below or above, or on GMail (smwakasisi@gmail) or Skype! (sam.mwakasisi) If you’re a blogger here at WordPress, please like this post, and thanks for reading today’s entry in Sammwak. p.s. What’s that? Is that the sound of everyone not checking out My Life As Fick? I think it is! I finally released a new post, but no one’s been there to check it out! See it at mylifeasfick.wordpress.com, and vote for what Fick should do to get some cash! Hey guys it’s Sam and do you remember last year’s good-old surprise hit, the family comedy Diary of a Wimpy Kid? Yeah, everyone loved such potty humor. Although it garnered mixed reviews (a 53% on Rotten Tomatoes, a critical B- on Yahoo Movies), I guess it was a great success. And–even better–they decided to make a SEQUEL to that movie. And–even better news–it’s already out. 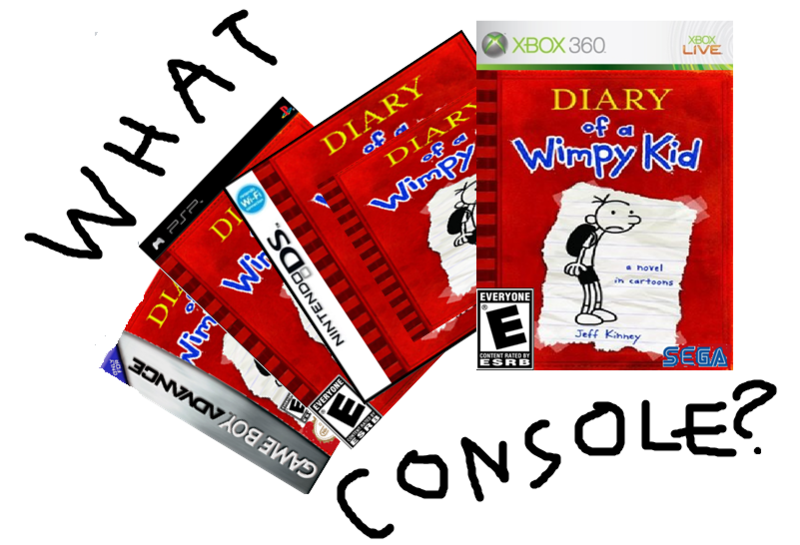 That’s right, wimpy fans. Diary of a Wimpy Kid 2: Rodrick Rules has made its way into theaters. Another one of 20th Century Fox’s conductions, the book finally gets its sequel. Now, I personally haven’t seen the movie YET, but I’ll be seeing it in some time. I just know it. If you’ve read the book, you’d most likely find it blending into the movie. Greg and Rodrick must bond because of their parents and blah blah blah from that. Now, according to critics, it precisely got ratings WORSE than the first installment. I have proof. A B- compared to a C. A 53% compared to a 40%. In spite of this, critics are still saying good things about it. It’s acceptably acted. Moderately witty. Stuff like that. Anyways, Diary of a Wimpy Kid 2 is now in theaters, and if you’re wimpy enough, start pestering your parents for some good seats! …you get the movie! That’s right, fans and fanatics and super-crazy-psycho fanatics. Rodrick Rules finally has its own movie. In this sequel, as Greg enters seventh grade, he and his older brother – and chief tormentor – Rodrick must deal with their parents’ misguided attempts to have them bond. Has anyone seen this familiar face? This face belongs to none other than List, Peyton R. List. She’s starred in such movies and shows like Gossip Girl, The Sorcerer’s Apprentice, and Law & Order: Special Victims Unit. Now, she is portraying Greg’s new crush, the daughter of Heather Hills, Holly Hills. Like Rango, this movie’s set to release in March. Late, late March. March 25, to be exact. So, if you’re wimpy but cool, start pestering your parents to get some good seats when March 25 comes! You can even check out the site if you click HERE! So I guess that’s all the beans I spilled and must spill. 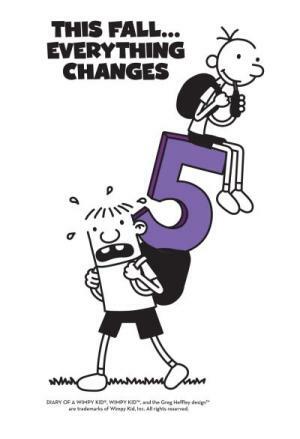 Wimpy kids out there, be on the lookout for more info on Rodrick Rules! Will Greg overtake his final year as a middle schooler? Is it true love for him and Trista? And is it really the end of Greg and Rowley’s relationship? All the answers to these questions and more in The Ugly Truth! Coming out November 9th! So, if I were you, I’d check out the book. And remember, this is a website preview. GET YOUR COPY OF THE UGLY TRUTH! HITTING A BOOKSTORE NEAR YOU ON NOVEMBER 9TH, 2010!! !